The BOREAS G-LOFT® jacket has by far the best heat/weight ratio of the entire collection and is suitable for year round wear! It is also an absolute flyweight and wonderfully warm. For example, if you wear the BOREAS jacket with a Merino T-shirt and a light Merino mid-layer under the 365 jacket by Merkel GEAR, you can easily make it through the winter without ever being cold. In addition, the pack size of the BOREAS G-LOFT® jacket is so small that you can fold down the entire jacket and store it in one of the lower sewn-in pockets. 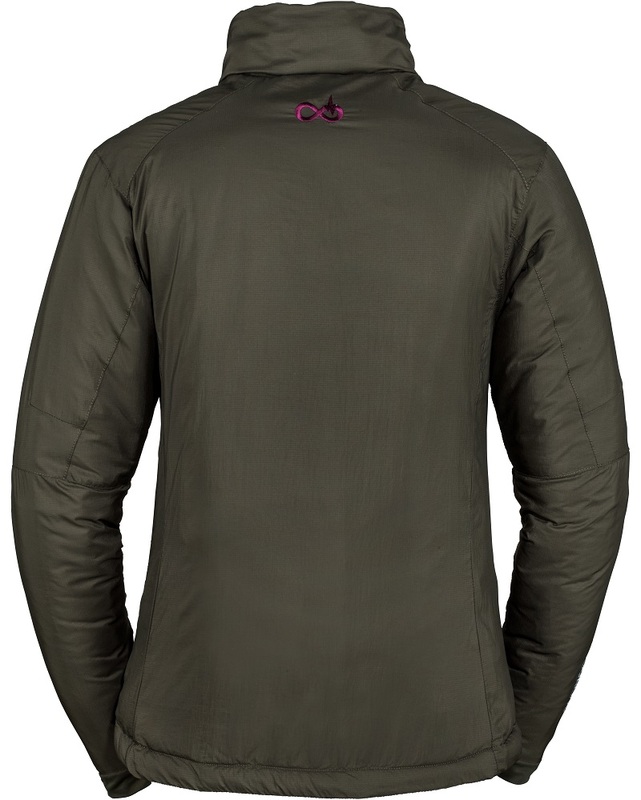 The outer fabric of the jacket is made of matte olive, sturdy nylon micro ripstop. The outer fabric is also equipped with an improved DWR finish to allow water to run off easily. 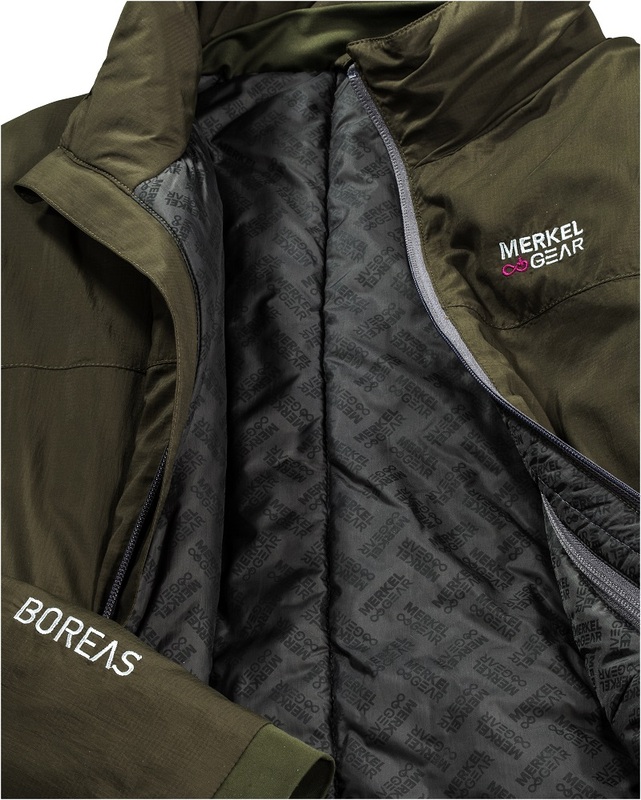 The lining of the jacket is made of outstanding G-LOFT® from our Austrian partner Goldeck Textil. In our opinion, the best artificial down currently available on the market. The advantages of G-Loft®: extremely good heat/weight ratio, extremely quick-drying, extremely small pack size and made in Europe. For those who value highly functional, lightweight and versatile gear, we highly recommend our „Boreas Jacket“. Whether worn individually as a jacket or as a super warm mid-layer – whether spending hours screening interesting hunting spots while being exposed to the wind or while game stalking: the BOREAS jacket is perfect for anyone who loves down garments for hunting but don’t want their jacket to get soaked in the rain… Details of the Boreas jacket: stand-up collar with windproof placket, 1 inside pocket, 2 side pockets arranged high enough so that the closed waist belt of a rucksack does not block the pocket access, pocket zips without metal parts, main zip size #5 with berry zipper typical for Merkel gear, double-preformed elbows, adjustable hem, significantly extended at the back to protect against drafts, flat cuffs which allow the wearing of additional layers. Made in Europe!